"After numerous demonstrations, prayer vigils, and confrontations with the Mayor and the City Council, we feel that it is necessary to do what our founding President, Dr. Martin Luther King Jr., would do and that is to march." (CFN-Memphis TN 7-2008) - The most recent developments in the Memphis sanitation workers plight seems to be the unknown cost or procedure for including new or existing sanitation workers into the city of Memphis' pension plan and getting the city's administration to engage in these talks along with other pressing health and safety issues within the Public Works department. Some say an act of Congress is needed, others believe the City of Memphis and the City Council hold the strings for making such a plan happen. Then there are the ones that say their union, the American Federation of State County and Municipal Employees (AFSCME) Local 1733 can take considerable steps in seeing that workers are heard, their issues taken seriously and resolved. Before it is determined who is right and exactly what it will take, the truth of the matter is that the sanitation workers seem to have been forgotten. An iconic American institution that was at the center of the assassination of famous civil rights leader Dr. Martin Luther King Jr. still has no pension. This past April 2008, when thousands descended upon Memphis to commemorate the 40th anniversary of the assassination of the Reverend Dr. Martin Luther King Jr. at the Lorraine Motel, now the National Civil Rights Museum, the usual cast of supporters and characters came out in force. Presidential candidates Hillary and McCain were present as were other prominent faces from around the nation. Democratic Presidential nominee Barack Obama did not show. 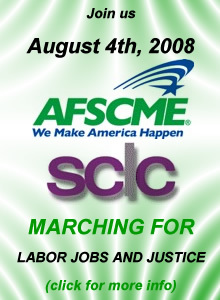 On July 31, 2008 in San Francisco California, AFSCME held their 38th annual convention. CFN was not present for the occassion, however Presidential candidate Barack Obama did address those at the convention; yet he again failed to mention the unfinished business of Dr. Martin Luther King Jr. and the very reason he came to Memphis 40 years ago...the Memphis sanitation workers. The turning point seems to have been in 1966 when the sanitation workers elected to opt out of the city's pension plan. Years later, sanitation workers and administrators for the sanitation workers, along with many others, believe that this was the wrong decision for the union to have taken and did not consider all of the consequences relating to such a decision. We began with statements from Congressman Steve Cohen that we would like to share with you regarding this issue. 1.) We asked the Congressman if he would support the Memphis Sanitation workers should they continue to engage in efforts to include themselves in the City of Memphis' employee pension plan? I have informed the union, the City Council and the City Administration that I will work in whatever capacity they need to help all sides come to a mutually agreeable resolution to this problem. I have supported the City’s sanitation workers in the past and I will help them in any way that I can to get the benefits and compensation that they deserve. Because the struggle of the sanitation workers in Memphis Tennessee is at the heart of what we believe to be so wrong with our existing system of government, we keep this issue alive because we believe that a wrong has been perpetrated against this world famous icon of civil rights. An important institution in America civil rights and according to the Southern Christian Leadership Council's Memphis Chapter President, Dr. Dwight Montgomery, "We are marching for labor, jobs, and justice. We are marching because there is a great need for healthcare for all individuals and our public officials need to be held accountable. We are marching for civil rights, dignity and respect in the workplace. We are marching for every citizens right to be treated with respect and dignity by our law enforcement officials." We asked Dr. Montgomery if he had received support from locally elected officials that the people of Memphis have appointed? 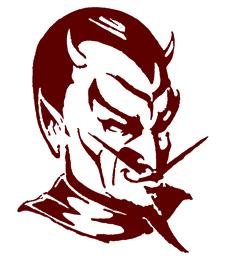 "The local officials in this community are not providing the kind of support that they should. We should not be marching for this cause or these issues. These issues should have already been resolved and it is unacceptable and a shame that after 40 years our founding President Dr. Martin Luther King Jr. was assassinated over these issues and yet you have African Americans in major positions within this city with a majority African American community and we as African Americans have to lead a march because we are not getting the necessary support from elected officials that are African Americans who in fact are where they are because of the sacrifices that were made by Dr. King and other civil rights leaders", says Montgomery. Further, according to Dr. Montgomery the city's position back in March of this year was they wanted to dictate to AFSCME Local 1733 whom they could have at the discussion table when discussing health and safety, and other issues. "It seems as though the present administration has forgotten what their position is. They have forgotten that this is a government of, for, and by the people. It is not a government of, for and by the city's administration. It is because of that I believe....it is almost a situation as though the present administration is saying, "you can't make us do anything." It's a matter of arrogance, if not arrogance a misunderstanding as to the role of the city's administration to the citizens of this community." How helpful has Congressman Steve Cohen been in supporting the efforts of the sanitation workers? "Congressman Cohen has been very candid and it was made very clear to us that he is trying to do that which is fair, that which is right and has the best interest of the community and the union. He's been very supportive says Dr. Montgomery. The verdict is still out as to whether or not the sanitation workers will be included into the city's pension plan. It's not an overnight process, however we do not believe it's a 40-year process either. We will continue to follow these developments and bring them to you as they develop.